If you are anything like me, you are best motivated to keep exercising or running when you can see the progress that you have been making. Over the past year I have tried a few different websites and iPhone apps to track and analyze my runs. Here is a rundown of the best resources to track and log your runs online. This is by far the best site I have found to log my runs. The clean and simple RunKeeper site makes it easy to add an activity with a dedicated “Post Activity” button. Once you have an account, you can log a run by clicking around a map and then entering the time it took. RunKeeper then calculates key running metrics like pace and distance. The mapping tool is easy to use with just one option of “Snap to Roads” along with a Undo and Reset button. For those who want an extensive array of graphs showing different aspects of their running history, you can upgrade to RunKeeper Pro. This is not necessary to get most of the site’s features including the ability to share runs with friends and track performance on the same route over time. Before I found RunKeeper, Gmaps Pedometer was my bare bone solution to tracking my runs. The site offers just a mapping tool similar to the one found in RunKeeper. The tool is great for those of you who want to map out a run without having to log in to a website. It offers the ability to map to roads or straight lines and can save routes for viewing later. In order to record your history on Gmaps Pedometer, I recommend using a Spreadsheet in Google Docs. This free online software allows you to set up your own spreadsheet. Here you can enter the date of your run, the distance provided by Gmaps Pedometer, and your time. Then you’ll need to set up formulas to calculate pace. Finally you can copy in the link to your route saved at Gmaps Pedometer for future use. This website is a direct competitor of RunKeeper, but is overwhelmed with options and advertisements making it very annoying to use. One great example of this is an ad that sits in the middle of your map while you try to route making it hard to navigate around. MapMyRun does have a test version of their website you may be able to use with less and ads and a cleaner interface, but I still have trouble with bugs that make it hard for me to undo a click in the wrong spot on the map or to log in after starting a map. The MapMyRun site does have some useful mapping tools like the ability to automatically complete a loop or go straight back to the start for an out and back run. Until they clean up their site though, it’s not worth the time or frustration that you could save at RunKeeper. While Nike does not have an online tool to route runs, the company does have the best iPhone app to use. The Nike+ app will record a map of your route using GPS and color code it based on your pace during the run. What sets it apart is its use of the accelerometer to calculate your distance and pace while running. This requires a few calibration runs where you fix the distance afterwards (use a tool like Gmap Pedometer above to get it right) and then is accurate within 0.01 miles. Runs recorded with the Nike+ app are sent to an online Nike+ Runs site full of more features. You can set goals or enter challenges with friends for extra motivation. You can also find training schedules for different running distances. Best of all, superstars like Lance Armstrong will congratulate you after setting personal bests. This app syncs up with the MapMyRun website mentioned above. It provides a simple option for tracking runs but only uses GPS. Because of this, there is a chance the routing will cut corners on your run and give you a shorter than actual distance. The app also features the ability to sync with heart rate monitors to provide you with useful information regarding your level of effort. This app is simple and easy to use and compares closely with the iMapMyRun app. Lately though the app has struggled with bugs that erased users’ running data, but hopefully this will improve. I really enjoy running. Well, sometimes I hate it and sometimes I love it, but on average I really enjoy it. Recently, my excitement for running led me to cross paths with the book Born to Run, and it has had a profound impact on my running and my life as well. 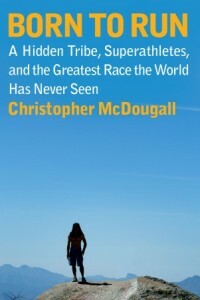 The book Born to Run is the combination of a fun story about a race in Mexico and a history of running for humans. The basic premise of the book is that humans are designed to run, and I’m not just talking a few miles, but very long distances. Furthermore, Born to Run suggests that shoes have been one of the worst things to happen to humans ever and that we need to find our way back to our barefoot roots to really regain the benefits of running. The author even claims that America’s commercialization of running and running shoes has ruined the country’s ability to compete against countries whose people run for life and the love of running. Humans can run further (although slower) than most other land animals due to our two leg design. The best way to succeed in running is to truly love to run and not to run for fame or money. Barefoot running helps by unlocking sensors in feet that help people run with better posture and form. 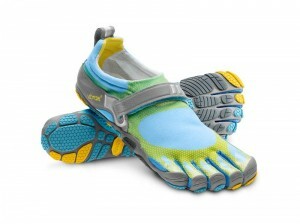 I decided to test out the barefoot running theory by buying a pair of Bikilas from Vibram Five Fingers. These shoes, which are named after Abebe Bikila who won the 1960 Olympic marathon while barefoot, are specially designed for barefoot running and make you feel like you are running barefoot while protecting the foot from sharp objects like glass. Since most people are not used to running barefoot, it is not something to jump straight in to, but after some careful training it can have a big difference. For me, my barefoot running experiment has been a huge success for a few reasons. Running barefoot forces a more mid-foot landing which increases work and eventually strengthens the calves and ankle region. Running barefoot massages the feet and uses them for what seems like the first time ever – regular shoes now make me wonder if my feet have gone numb. Running barefoot improves posture and alleviates pressure from the knees and thighs. Running barefoot adds an exciting new element to running – granted, this won’t last forever. In the end, Born to Run has changed my perspective on running. Instead of running being a task I have to do because I sit at a desk too much and I need to be healthy, running is something that we can all really enjoy if we approach it as we were designed to. Don’t burn yourself out of running, but find a way to enjoy jogs through your town or local parks by focusing on the journey. The Bikilas have added a nice touch to the enjoyment of running for me and seem to be making it a more productive activity. If you’re not sure if running is for you, try out the book Born to Run. You may find yourself buying some Vibram Five Finger Bikilas like me and relearning the joy of running we were born with.